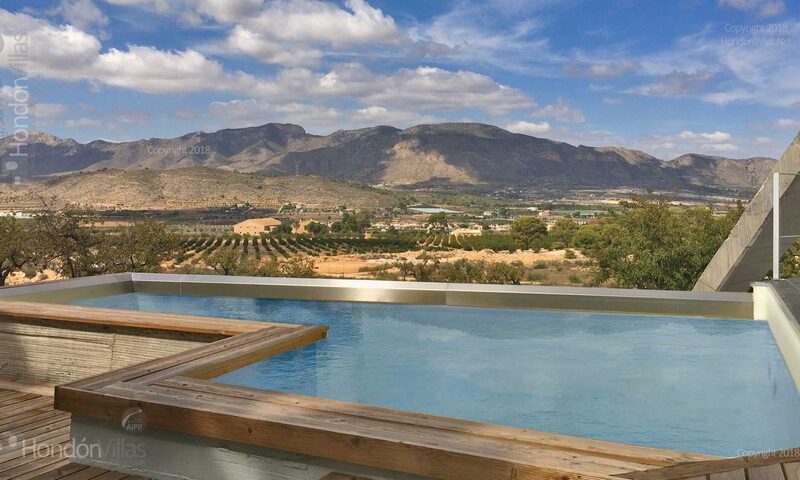 Hondón Villas are very happy to bring on to the market this stunning villa which is set above the village of Hondón de los Frailes with commanding views over Hondón Valley and breathtaking mountain views. Sitting in a plot of 3000sm2. This larger than average outstanding Villa consists briefly of a glazed Naya with stunning views. The very unique layout of the villa offers a great feeling of space. The lounge, with feature fireplace incorporating an inset living fame fire, has an open archway into the dining area and open plan fitted kitchen with utility room. The inner hallway leads to the three double bedrooms with fitted wardrobes, the master bedroom has one en-suite with double shower cubicle and there is also a family bathroom. The views have to be some of the best views around the valley and the well maintained gardens with crazy golf and a play area must be viewed to be fully appreciated. There is a carport and shady areas and a driveway leading down to the detached work shop. 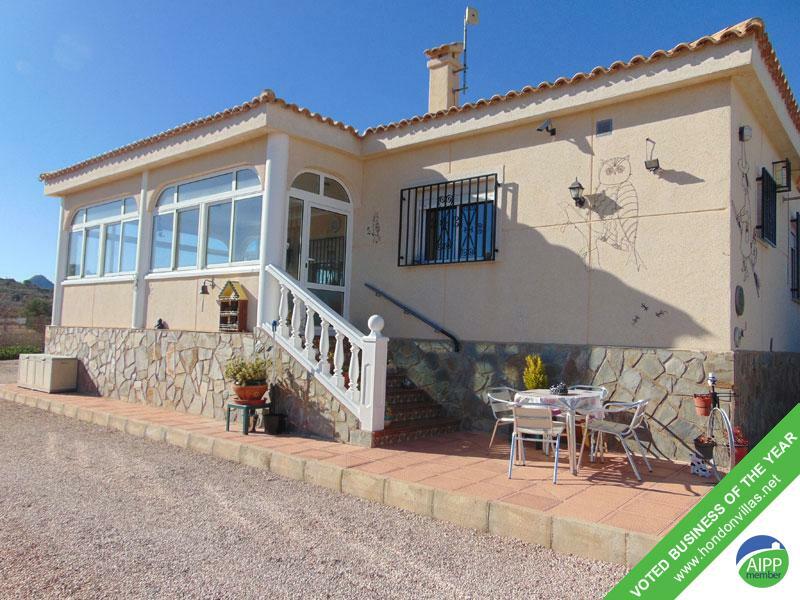 We believe the first to view will not be able to resist this stunning villa which is priced to sell.